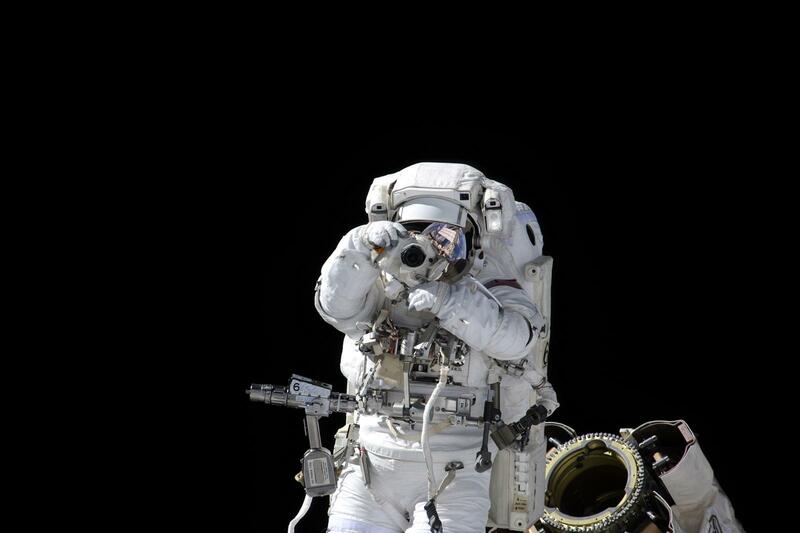 Cosmonaut Oleg Kotov took this photograph of a fellow spacewalker snapping photos during one of his three extravehicular activities. Kotov flew on International Space Station Expedition 15 as Flight Engineer and Expedition 23 as Commander. In 2013, he is scheduled to command Expedition 38. An unidentified spacewalker outside the International Space Station (Oleg Kotov/Roscosmos).